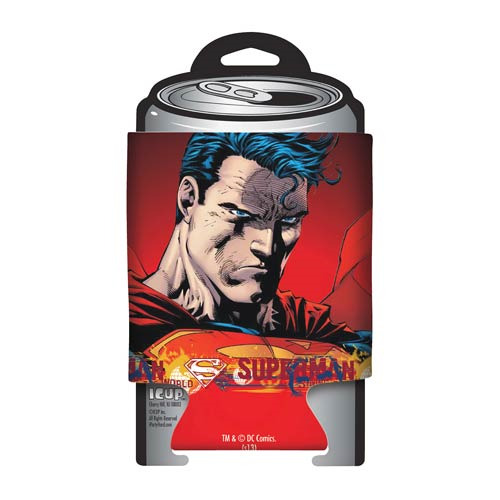 Keep your can cool in Man of Steel style! This Superman Determination Can Hugger features an image of the Kryptonian looking down right determined. It's an awesome item for Superman fans!